Fragoso Advogados was founded in 1952 by the jurist Heleno Cláudio Fragoso, one of the most prominent criminal lawyers in the country, the vice president of the Federal Council of the OAB (the Brazilian Bar Association), and defense counsel of political prisoners during the military regime. The founding lawyer, Heleno Cláudio Fragoso, was awarded some of the most significant titles in the academic career, such as Honorary Doctor by the University of Coimbra (Portugal), Full Professor of Criminal Law at Rio de Janeiro State University (UERJ) and Candido Mendes University (UCAM), and Associate Professor of the Federal University of Rio de Janeiro (UFRJ). Author of 14 books on Criminal Law, Heleno Fragoso was the vice president of the Federal Council of the OAB (the Brazilian Bar Association), and was the Vice President of the International Commission of Jurists, based in Geneva, Switzerland, and of the International Association of Penal Law (AIDP), in Paris (France). 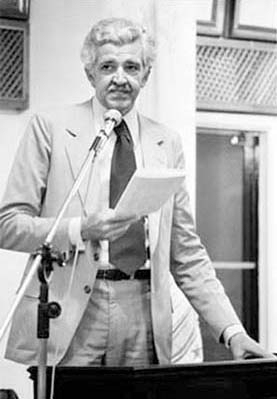 A lifelong militant lawyer, Heleno Fragoso died in May 1985, in Rio de Janeiro, at the age of 59. After his death, his sons Fernando Fragoso and José Carlos Fragoso renamed the law firm as Fragoso Advogados, in 1987. The lawyers Christiano Fragoso and Rodrigo Fragoso, sons of Fernando Fragoso, have joined the law firm since 1994 and 1996, respectively.